(Updated) To respect, 75 % of the time, a monthly budget of less than 3 500 $. Before December 2012, I had never done a budget. I was always telling myself : « why bother, you live like you live, so make the most to pay the bills at the end of the year! » Making this first budget was a revelation: I actually found out where the money went (in food mostly!). Needless to say it forces you to make wiser choices. Restaurants have been cut off drastically. On the basis of my first thorough two budgets (December and January), I have a better idea of what comes out. Therefore, I set out a goal of spending less than 3.5 K$ per month, 75 % of the time, so 9 months out of 12. Since I failed the last month (with 4.3 K$), I have two remaining chances! Investing Money : we have already reduced this portion by almost 55 % (from 550 $ to 250 $). Condo Maintenance : we are done with renovating this condo. But we will keep ourselves some dineros just in case we have some tweakings to do. So it's a 80 % reduction (from 250 $ to 50 $). (Updated) To hit the 135 K $ mark in my portfolio. Right now I have roughly 129 K $ (you can check it out here). I have a lot of cash flow. I need to invest some of it in new quality stocks. But, considering the actual bull market, I will be extremely patient in that regard. So if I hit the 135 K$ mark, it might solely be because of dividend income, interests and a favourable market that will grow my actual investments; and not because of new acquisitions. Again, I don't expect a lot of new income in 2013. 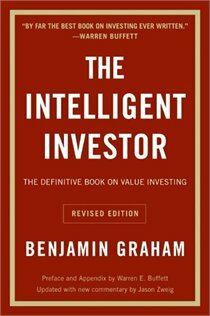 Some of you calculate the Graham Price (hello Average Dividend Yield!) by obtaining the square root of the P/E ratio multiplied by the price-to-book ratio (or EPS) multiplied by 22.5. Or if you put it : SQRT (EPS * BV * 22.5) = Graham Price. My question : where did you get that? According to me, this is the Graham Price, which is basically : P/E * EPS = something smaller than 22.5 = good! Where did I miss the square root function?